Coffee Masters offers an incredible fresh coffee in a wide assortment of flavorful blends. 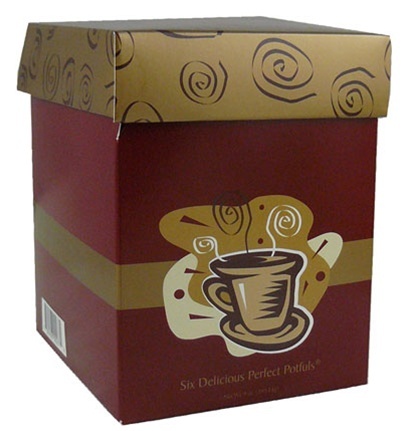 Each individual package is the perfect size for making one pot of coffee. Empty the contents of one bag into your filter to brew 8-10 cups. (Available in Fresh Ground Only) Just Roasted! These boxes include one each Colombian Supremo, French Roast, Hazelnut, Chocolate Raspberry, Cinnamon Nut Swirl, & French Vanilla.